Imagine how the home of your dreams looks like when the sun goes down! I am sure it has two storeys, large windows, beautiful attic and forget not the huge garden with an essence of Mother Earth at its best. But dark and dusky is not what you would prefer, would you? After a long crappy day at work, all you would need to relax would be a walk down your garden and sit having a warm cup of tea talking and laughing with your family. 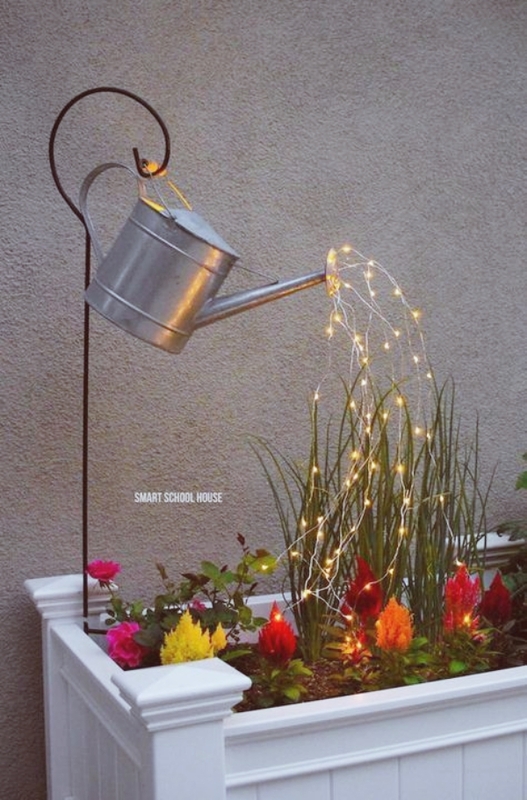 And I am sure that you could surely use these Magical DIY Garden Lantern Ideas to make your yard look enlivening and enlightening. You were just one step away from losing your pockets weight in buying some readymade lanterns. Well, guess what; we just saved a few bucks for you to buy a dress and have fun DIYing these lanterns for your garden and terrace garden. Teapot Lantern is the New Found Love! A bunch of series lighting, an antique metallic teapot, metal wire and a few more supplies like a pair of scissors would be all you need. Instead of using the normal golden series lighting, choosing the multicoloured ones would also stir up the surrounding and lift your space’s radar instantly. 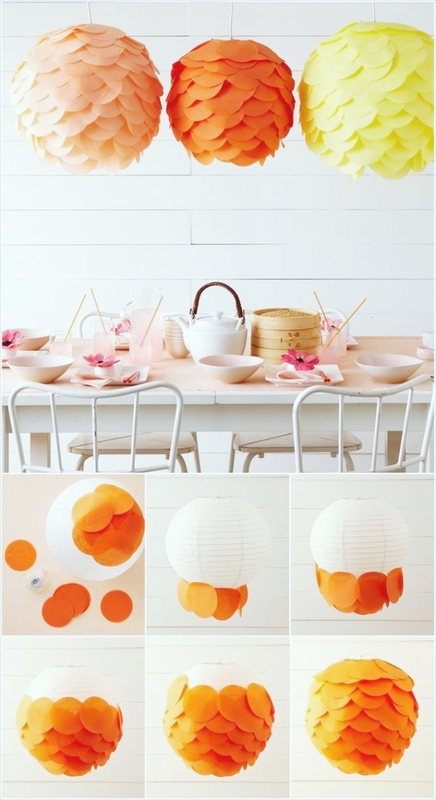 Just begin your tiresome evenings with these perfectly recreational teapot DIYs to stir up the jazz of your house. Cut out the base and insert your miniature glass containing the candle. Before you actually insert it tie it up using metallic chains and insert it through the opening of the bottle and TADA! Every time you need to enlighten the tea lights, just drop it down and your garden would be yet another heavenly place of your house. 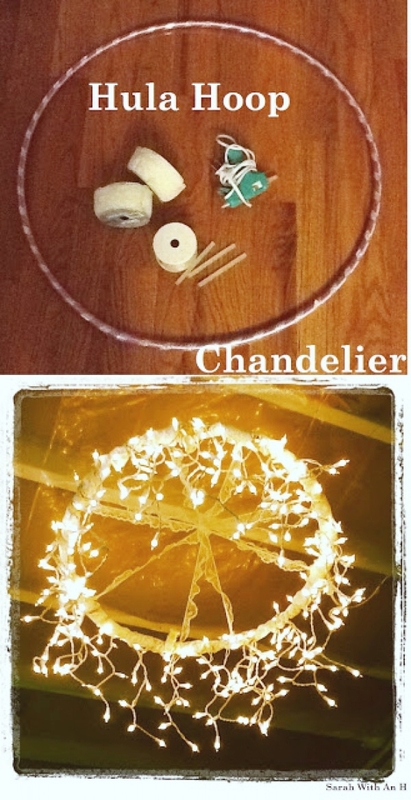 Some more tea light crafts for your home decor is right here. 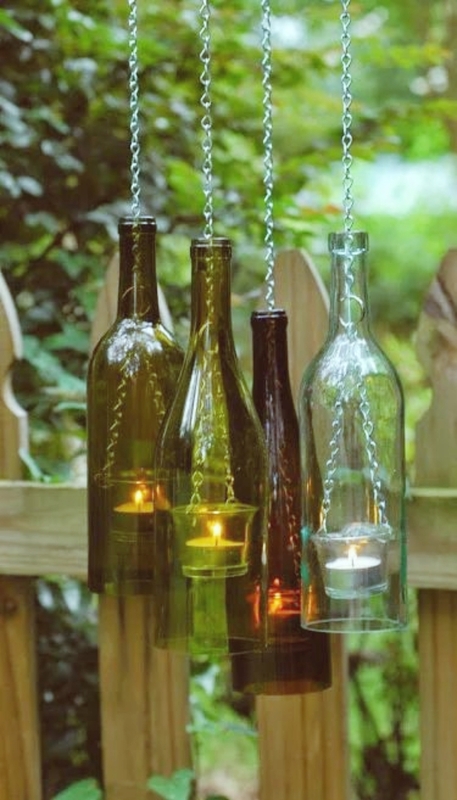 Do you have any idea how classy your way down to garden looks with this stunning mason jar sconces? 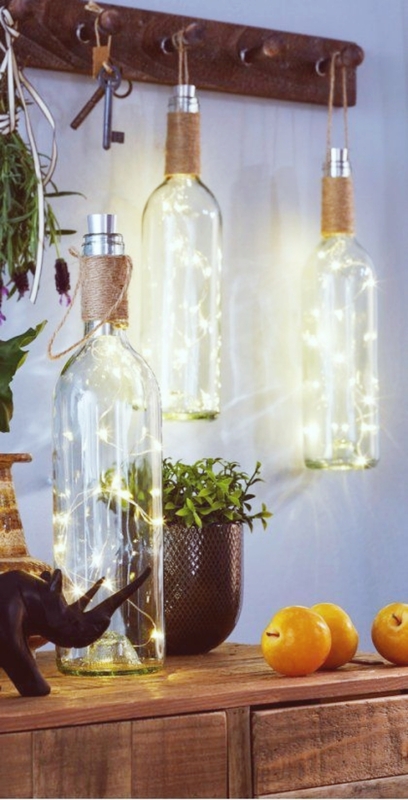 Yeah, you got that right – you are about to make sconces with the mason jar. All you are going to need is a set of rope and a few mason jars along with a number of wooden piles. Not much loss to your pockets weight but makes your garden look incredible. Origami masters – Attention! ‘Cause we have something here just for you. All you gonna need is paper, scissors, glue and your creative hand with artistic mastery. Though, I must confess how this lantern idea could be an epic failure for your garden during rainy days. 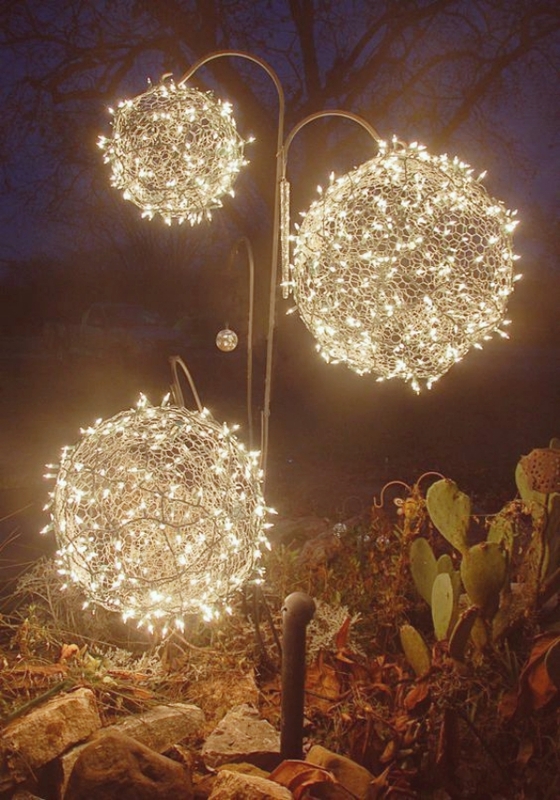 Though, you can plug it up somewhere in your house or your porch for an elegant evening. 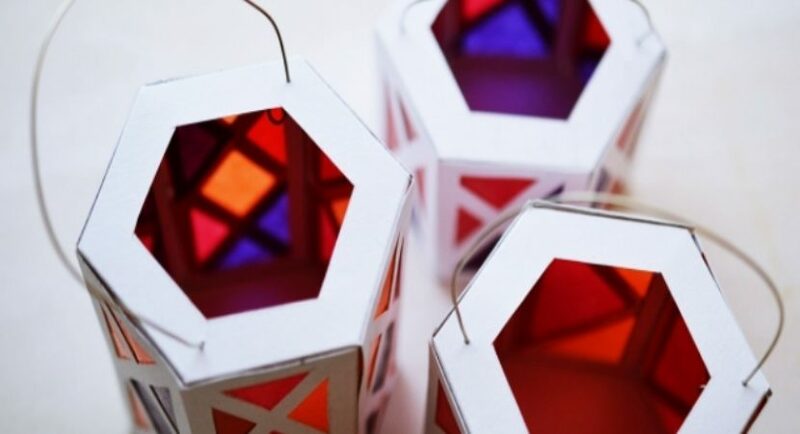 Grab colorful papers and cut them up in triangles. Glue them all on the inside of the mason jar as shown in the image and let it dry. Let the candle sit inside the mason jar and you will see an elegant light coming out making the ambience peacefully colourful. You can also add sequin and experiment other inspiration to see varying results and different lighting effects. Ropes, balloon, glue, and scissors! And series lights, obviously! 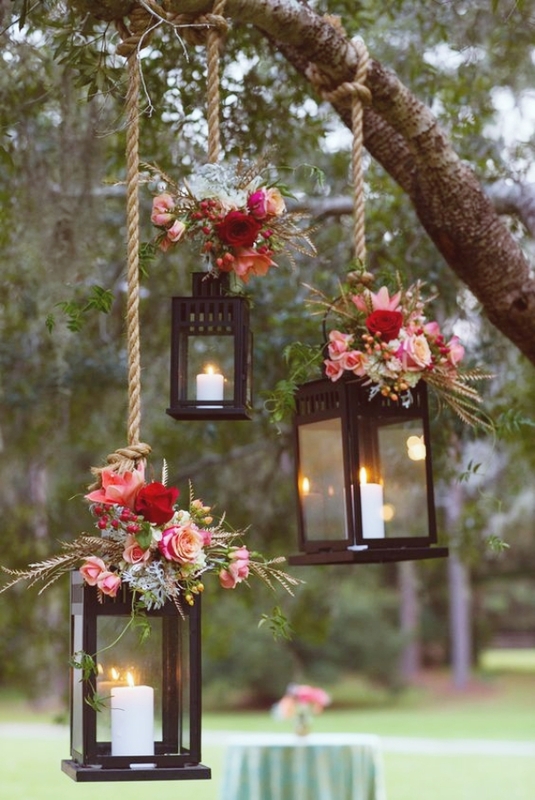 With just these handful number of supplies, you would be able to create just another perfect example of the garden lantern in a day. All you have to do is take an inflated balloon and stick ropes encircling it as shown. Wait for a day and let it dry. Thereafter, pinch the balloon to burst out all the air and pull it out of the hardened structure of ropes. Next, you must go on intertwining the series lights and VOILA! 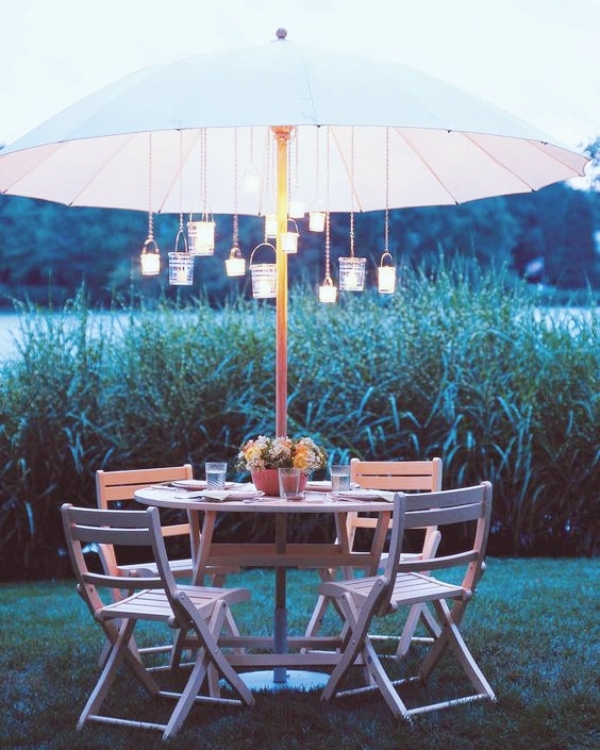 I must say, smartly posh DIY lantern idea for your little sitting arrangement in the backyard, it is! Using tape to cut out the heart shape on the mason jar and using spray paint to color them all evenly. 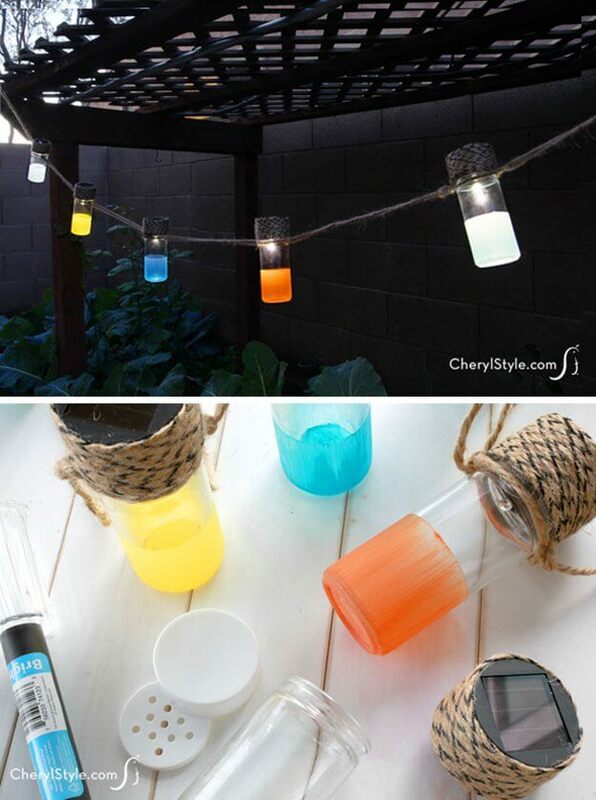 Insert the bunch of series light bulbs in the mason jar. Decorate the same with a few ribbons and studs and rhinestones to make it prettier and customised. 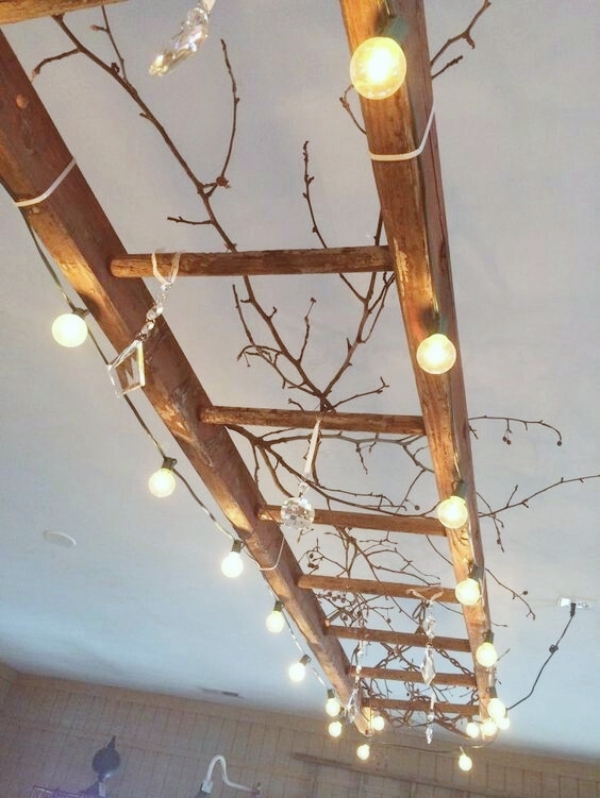 How about you hang them up on the ladder and hang the ladder with the strongest branches of your biggest trees for a mesmerizing look? Construct a table from the plywoods left unused in your backyard and it is time to make something really mindblowing with it. After you successfully make the table, just insert the bulbs in series to the connection (go fetch some physics books if you don’t know about series connection). Gather the tin cans in varying sizes and paint them all. Let the paint dry and thereafter, you have to do is puncture holes of different shapes in it and insert bulbs inside of these lanterns. Further just hang them up to the twigs and branches of trees in your garden and you work here is nicely done. No losing pockets weight anymore! Home is your territory to decide what exactly you need to make of it. Design it to be an incredible mansion with trance windows, hut-shaped ceilings and beautifully maintained and decorated gardens and outside spaces.